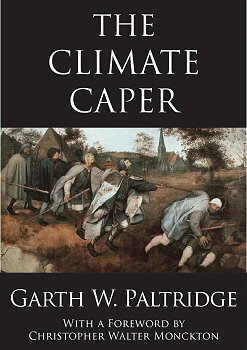 There is a wonderful image from the painting by Pieter Bruegel the Elder, The Blind Leading the Blind on the cover of a new book on the crass new celebrity-science Global Warming a.k.a. Climate Change. 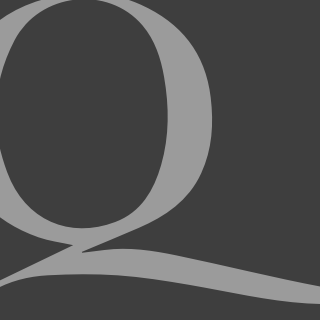 These two quasi-scientific expressions deserve capital letters as they have now moved from the notion of a theory to a rapidly developing religion. Unfortunately, Global Warming scientists who want to find simple explanations for complicated questions about The Meaning of Life, are behaving more like Monty Python performers than men and women of science. This week we were inundated with stories of giant cuttlefish sighted off the coast of California — Global Warming! Giant jellyfish sighted off the coast of Japan — Global Warming! The decline of coral on the Great Barrier Reef — Global Warming! The increase of growth of the Great Barrier Reef — yep, Global Warming! Closer to home and still on the subject of the religion of Global Warming, Clive Hamilton has just given a lecture on, wait for it, “The Rebirth of Nature and the Climate Crisis”, in the Sydney Ideas series. Clive calls himself a “public intellectual”. Never one to miss a chance, Clive has looked at our history of philosophical ideas and concepts, as we have progressed through The Age of Enlightenment and The Age of Reason, and found them wanting. Clive has latched onto the James Lovelock idea of Gaia, “the Earth as a living system in which the biosphere interacts with other physical components of the Earth to maintain conditions suitable for life.” One would have thought that we all think of this planet as a “living system” without having to attach it to the bootstraps of a Greek goddess. Gosh, we all watch Attenborough’s “Life on Earth”. Hamilton goes on to dredge up Duns Scotus, a Scottish theologian who lived between 1266 and 1308 and “flourished” at Cambridge, Oxford and Paris. He was nicknamed Doctor Subtilis for his penetrating and subtle manner of thought — apparently. He is also where we get the word “dunce”. Apparently we need theology to get us to start getting serious about “Global Warming” and Duns Scotus might just be the fellow to let us see the light. So there we have it. The beginning of the “Religion of Global Warming”. When “public intellectuals” join zealous scientists and political opportunists and meld with religious enthusiasts is it really time to stop the planet and let us sceptics get off. Read The Climate Caper, it is a wonderful little book that should delight non-public-intellectuals and really put a flea in the ear of the alarmists. Particularly at dinner parties when half the guests are loony-left bigots. As the parallel universe of Global Warming moves from the science-as-politics phase, to the silly-phase, then to the religious-phase — hold on to your seats. It is going to be a rough ride.